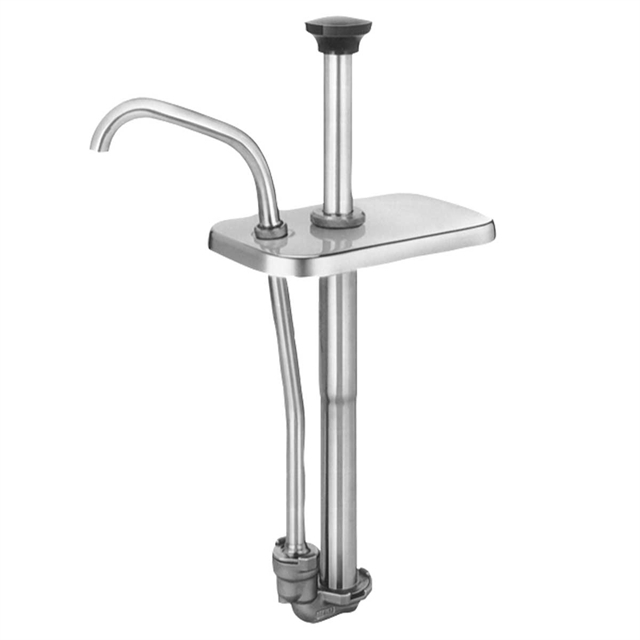 This stainless steel pump is ideal for dispensing thin products like syrup directly from a stainless steel or plastic deep fountain jar (3-quart/2.8 L capacity). This slanted rail pump is designed to operate at the traditional 22-degree angle. Server stainless steel pumps feature investment cast valve bodies and welded joints for corrosion resistance. The pumps work with fingertip ease to deliver exact portions without dripping. Fountain jar not included.